SKU: 423. Categories: Antique Maps, Ireland. 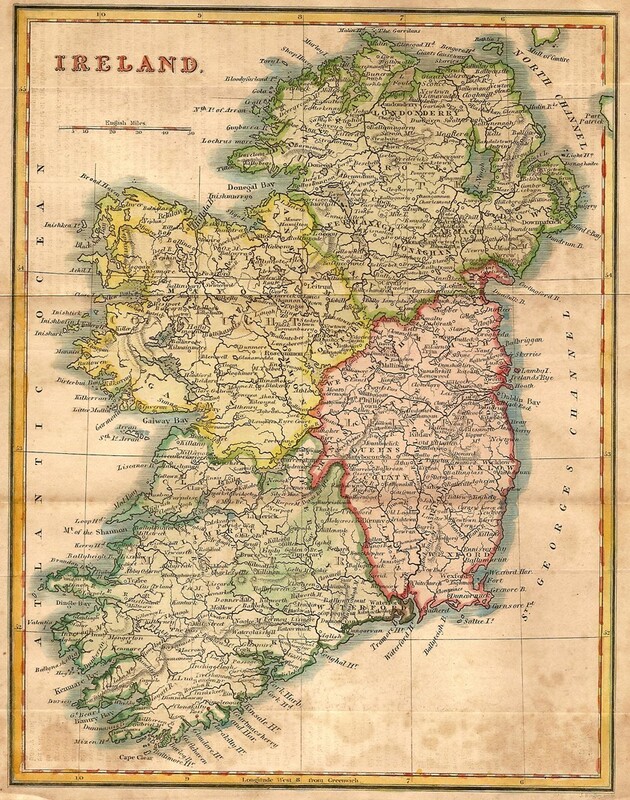 Tags: ancestry, antique map, antiquemapsandprints, geneology, ireland, irish counties, irish republic, maps for sale, mapsandantiqueprints, old map, original map, wicklow. County Wicklow, Ireland. 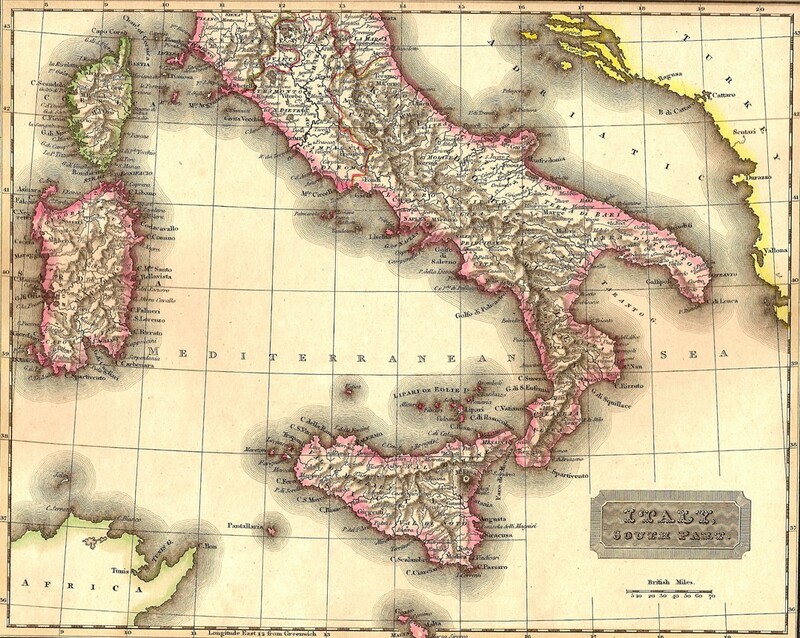 Original antique map published c.1890 by George Philip & Sons. Paper size 7″ x 9″. Usual centre fold. 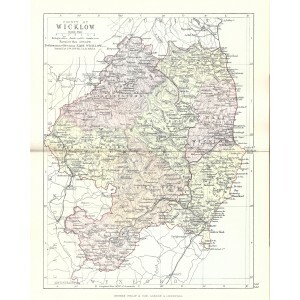 Wicklow antique map. 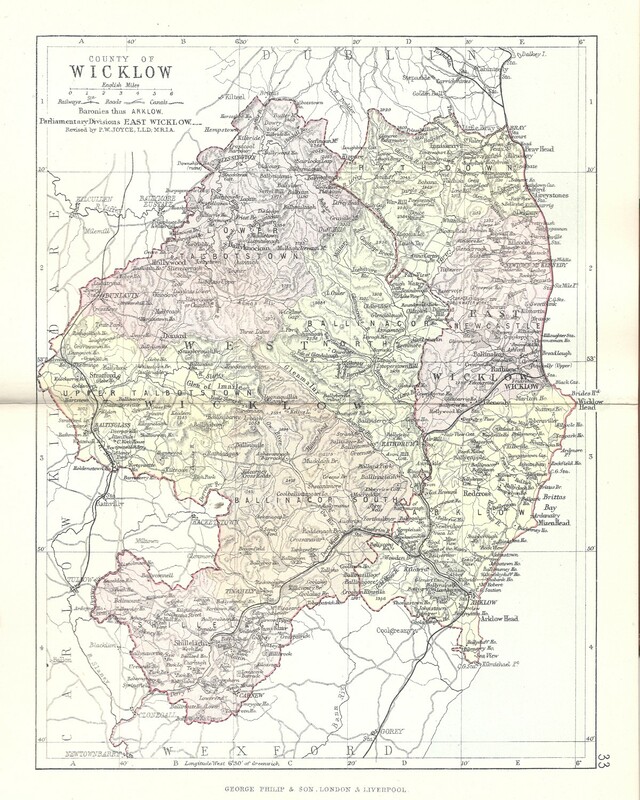 Original antique colour printed lithograph of County Wicklow from George Philip and Son’s ‘Counties of Ireland.’ Constructed by John Bartholomew, F.R.G.S. Revised by P.W. Joyce, L.L.D., M.R.I.A. “Reduced from the Ordnance Survey, and coloured to shew the new parliamentary divisions, according to the Redistribution Bill, 1885.” George Philip & Son, Fleet Street, E.C. featuring Alexandra Palace, Alexandra Park, Kenwood, Golders Green, Highgate, Turners Wood, Bishops Wood, Dirt House Wood. George Philip, (1800–1882) was a cartographer and map publisher. He had one son, also George (1823–1902), who was admitted to the business in 1848. The eventual company, George Philip & Son Ltd, continued to operate successfully until in 1987 when it was sold to Reed International where it continued to trade as George Philip Ltd. In 1998, following a management buy-out of the Illustrated books division, Philip’s became part of the Octopus Publishing Group. Hachette Livre acquired the group in 2001. George senior was born in Huntly, Aberdeenshire to a staunchly Calvinist family. In 1819 he became assistant to the Liverpool bookseller, William Grapel and in 1834 started his own business in Liverpool producing maps and educational books. The business expanded rapidly. He used cartographers (such as John Bartholomew the elder, August Petermann, and William Hughes) to produce maps on copper plates. Philip then had these printed and hand-coloured by his women tinters. 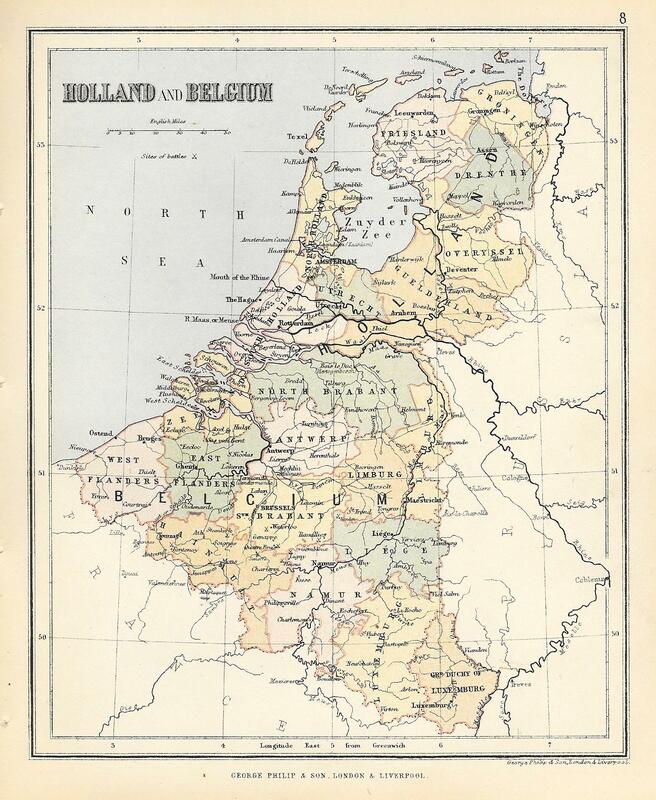 By the time he produced his county maps of 1862 he was using machine coloured maps produced on power-driven lithographic presses. The firm also supplied atlases and textbooks overseas starting with an atlas for Australian schools in 1865 and for New Zealand in 1869. The demand from board schools, established after 1870, enabled further expansion in the market for general textbooks, school stationery, atlases and wall maps.